You've picked the right USB drive for your data, now you have a choice on packaging flash memory too! These attractive cases hold thumb drives that nestle snugly in the pre-cut foam. 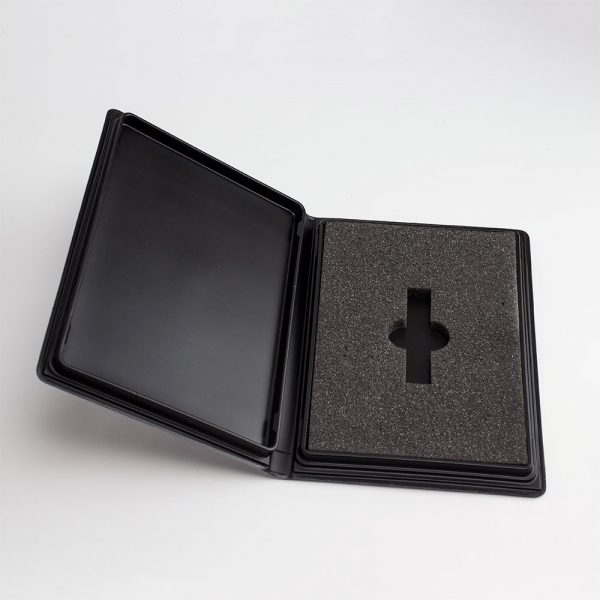 Each case is cut with a cavity to fit your standard USB drives but can be customized to fit multiple or varying sizes of drives – just contact us for a quote. The case is the same size and shape as a standard size DVD case and will fit in media storage cases. This product has a clear outer overlay to insert your own artwork to customize the cover! Each case is cut with cavities to fit your USB drives or memory sticks, including SanDisk products. Case is the same size and shape as a standard size DVD case and will fit in media storage cases.